TRAP DESCRIPTION: 5″ Wide x 5″ Tall x 16″ Long. 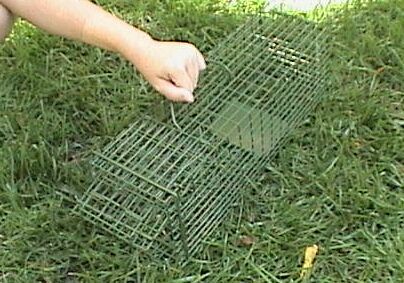 This Green Live trap is ideal for problems where you want to hide the trap in the landscape. It will catch small animals like chipmunks or rats. It’s green color makes it easy to hide in the yard when trapping outside. It has a 1/2″ by 1″ mesh so it can hold most any small animal including flying squirrels or rats.